How Can We Increase The Safety Of Sports? TOPIC: How Can We Increase The Safety Of Sports? As time has progressed there have been more actions taken to increase the safety of sports. Years ago baseball players didn't wear helmets and boxers didn't wear gloves. Do you think there should be an interference to increase the safety of sports or should they be left alone? Which sport do you think is the most dangerous? How can this sport become safer? It's the thrill of victory, however we define it, that truly brings about the greatest satisfaction in sports. Whether that victory is found by accomplishing a personal goal, by demolishing our competition, or the earning the admiration of others, few things can be as satisfying as the exhilarating feeling to follow. Physically and mentally, sports bring about the best in ourselves and help us develop discipline and habits of hard work. We are athletes, and sports are a part of life for us and our colleagues. But if an athlete is injured the chances of their finding maximal bliss from their sport is significantly hindered, if not demolished completely. People fall down stairs and break ankles and clank heads for no apparent reason. People trip over their own two feet and sprain wrists on a much too common basis. A lot of seemingly easy physical tasks end in painful and lasting injuries for people of all fitness levels, so it should be no surprise that during the much more intense physical exhibition that defines our sports there exists a chance for injury. As sports get more physically demanding and intense, the possibility for injury increases greatly. We accept this, because it's part of what makes sport exciting both as athletes and as spectators. Let's face it, we can't avoid sports. In fact, I'd guarantee that no one reading this would give up their sports unless there was a gun to their head or demanded by a debilitating diagnosis. The competition, the adrenaline, the thrill. We live for it, even if there is a chance of injury or failure; that's just a part of what makes success so exhilarating. But that doesn't mean we can't do things to minimize this risk and still enjoy our sport. 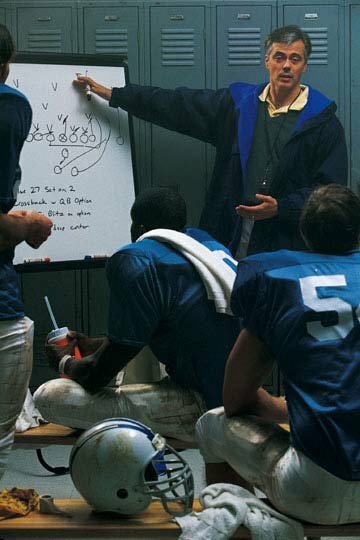 We owe it to ourselves and our fellow athletes to examine some of the things we can do to increase the safety of sports in general, and specific. Through both technological advances and an overall increase in our understanding of the design of the human body, there has never been a time as good as the present to maximize safety measures in sports. Where once a helmet may have consisted of a thick leather skullcap with a liner, we now have lightweight and strong composite plastics and foams capable of being not only much stronger and safe than their predecessors, but also more comfortable and less restricting. This is an important factor in protective gear in sports. A common problem with protective gear has always been that with the addition of new gear often comes limited mobility. Joints are often more prone to injuries than other parts of the body, but adding pads or other coverings to those joints can make it harder to move, which is critical to every sport I can personally imagine. Whether you are fond of American Football or not, most athletes should be able to appreciate the many measures that have been incorporated into the protection of its players. American Football is one of the few sports that place a heavy emphasis on the necessity for protective gear, and lots of it. Heavy Emphasis Is Placed On Protective Gear. 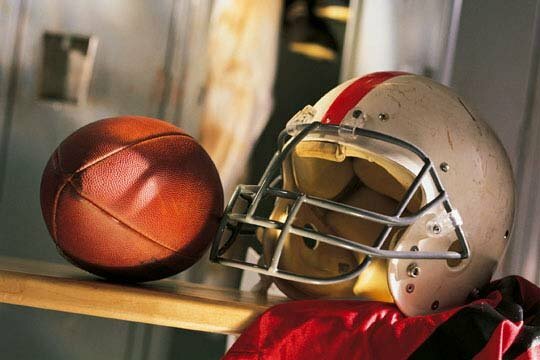 Most all organized leagues of the sport mandate the appropriate use of helmets to protect the head and face and shoulder pads to protect the chest and shoulders. Many players also use additional pads for their thighs and to support their necks in the high-contact sport. These are all excellent measures, and show great initiative by the leagues and players who use them. This does a lot to reduce the number of injuries, both serious and common, in a sport that would have high risk if fewer measures were taken. Following this example, I think it would do a lot for other sports, especially contact, to employ similar measures. There are many sports such as rugby that generally involve the same risk of injury as American Football, but do not take the same proactive measures to protect its players. Players of rugby, as a result, are more prone to cuts and hard bruises, and significantly more head injuries including black eyes and concussion. About one in four rugby injuries are head injuries, a statistic that could be dramatically reduced with the use of modern protective headgear(ref). Rugby is not a lone sport that could benefit from protective padding, it is just one that makes for an easy comparison to a sport like American Football that is similar in many ways, requires protective padding, and has a much lower rate of injuries both major and minor. Similarly many other sports could benefit from greater padding, and with modern padding that can minimize any mobility impairing effects, it seems that one of the only reasons there hasn't been global adoption of padding is the core of another way that safety can be increased. Possibly one of the greater hindrances to the progression of safety in sports is lack of an active desire for increased safety in many sports. By their nature sports entail a certain element of risk and many embrace this element and take pride in their ability to face this risk without fear. This same danger for injury can also be a status symbol or part of the image that participants want to associate themselves with. Many rugby players take pride, for example, that their sport is "tougher" than American Football because they don't rely on pads to protect them. In line with this, many rugby players don't actually wish to make the sport safer by wearing pads and protective equipment. 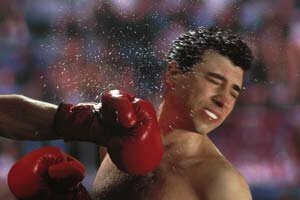 Similarly in boxing it would be possible for participants to wear protective head gear, but this is a practice generally only done by amateur and practicing boxers; most feel that this safety measure has no place in professional boxing. It is hard to increase the overall safety of a sport if its participants do not wish to use available resources to do so. Are Not As Strongly Emphasized. Psychologically speaking, most people resist change when they don't feel it's absolutely necessary. It's also generally true that many current athletes choose not to be particularly safety conscious; they've learned to trust their abilities and have a strong familiarity with their sport. When these two elements are paired together we find that even if an advance is made that will increase the overall safety of sport, many athletes will still choose not to employ these measures. A great example of this is the baseball helmet: a device that has no real implications as far as reducing performance or inhibiting movement. The baseball helmet was never particularly heavy or hard to put on, but the benefits that the protection the helmet provided was immense. The Protection Of The Helmet Brings Immense Benefits. Imagine being hit in the head with a 95 MPH fastball, with and without a helmet. The benefits were clear, the drawbacks were miniscule, but still many refused the extra gear because it was different and they were confident that it was unnecessary. To increase safety in sports, its participants need to be open to safety improvements, and have no reservations about adopting gear or rules designed for their own safety. 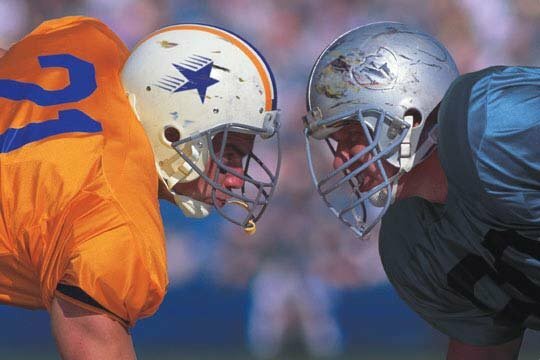 Instead, players were so against the new helmets that when the league decided to mandate their use they were pressured to include a clause that would allow any player who had already been a part of the league before the mandate's inception could be permitted to continue without them (a grandfather clause). This was an unfortunate way of demonstrating the negative mindset some have toward safety in their sport, but was a great move by the league that would positively impact the future of the sport. The future of most sports, especially competitive and televised sports, is especially dependent on the current generation of children and fans. It is often true that today's children are tomorrow's leaders, a popular saying that applies not just to politics but also heavily in the world of sports. It's also the nature of children to idolize and imitate the adults of their time, including athletic figures they see in both the media and in personal contact. This also explains why dramatic changes often take a generation to fully become common practice, and safety is no exception. If a child grows up idolizing athletes who refused adoption of safer gear or practices then it follows that that child will likely become an athlete resistant to change in the same fashion. It's easy to grow up not wanting to wear a helmet if your idol never wore a helmet. It's important for today's current role models to understand this and know that by adopting safer gear and practices they could be protecting not only themselves, but teaching great lessons to those that watch or know them. Recklessness can be passed on inadvertently, but luckily so can safety. Now more than ever one can find a vast amount of sport specific training information describing how to be better, faster and stronger in sport. The availability of exercise information and equipment has never been greater, and will likely only increase in the future. This in itself is, in my opinion, going to have a positive impact on the safety of sports. Any athlete knows that the more physically fit they are, the more they reduce their chance of injury. By developing the strength and coordination to control their bodies, athletes are making themselves less frail and less prone to injury. Flexibility training is becoming more widespread which is helping to provide more resistance to joint problems and muscle tears. A fit athlete will not only perform at a higher level in almost any sport, but will be a safer athlete. This is especially true for contact and high-intensity sports, but applies to nearly any sport to some degree. As an example, take a look at Tiger Woods of the PGA Tour. Golf had traditionally been stereotyped as a sport for husky gentlemen who generally spent their time training on the driving range, not in the gym. Tiger Woods and the next generation of golfers are much more physically fit, and are not only performing better than previous generations of golfers, but also protecting themselves. While golf may not be a dangerous sport to most, I have seen Tiger Woods hit a golf ball off of a tree root, taking a rather large chunk of the root with him; a task that would easily sprain the wrists of a less fit athlete. A sprained wrist for a golfer could be disastrous to their performance and training for weeks, but was prevented by his superior athletic condition. Perhaps the single most powerful tool available to increase the safety is the education of the participants of their sport. Recklessness often is the result of ignorance mixed with daring, and while daring may always have a part in many sports, a reduction in ignorance can have the single largest impact on the results. By understanding our bodies and how to apply them to our sport we can reduce risk significantly. The most common ways education can enhance safety are in learning how to act in more dangerous situations. I feel this point can best be made by looking at ways in which this factors into sports now. In contact martial arts, the first thing taught is almost always the art of falling and taking a hit. Learning to fall or roll out of a situation is absolutely critical for safely practicing, learning and applying martial arts. Likewise, improperly applied techniques could do significant damage to their partner and understanding this is of extreme importance. Skateboards/Bikers must quickly learn to always be aware of their position in space and how they should react to a pending fall. Skateboards develop a method of sliding on their knee pads and shoes as opposed to rolling and facing higher risk of injury. Bikers in a failed jump wisely avoid landing near their bikes when possible to avoid extra damage. Rugby players and American Football players alike learn how to take a hit in a way to minimize damage to themselves. Likewise they're often taught how to properly tackle without injuring their opponents, although this is not always followed in the heat of the moment (attacking the knees from the front, for example). Snowboarders and skiers learn to roll with falls and possibly attempt to regain their balance or to stop themselves during a tumble on the slopes. Hockey players learn the ways in which to properly give and take a check on the ice. 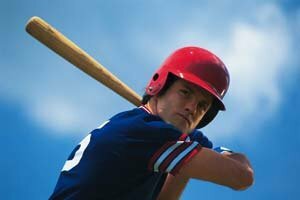 By properly bracing themselves, even a bone-jarring hit can be absorbed without injury in most circumstances. Mastery of one's sport often comes with experience. It's important for athletes to not rely on just their personal experiences, but to share and learn from the experiences of others in their sport. Role-models do well to share this as we study their play, coaches do well to share their wealth of experiences with us, and in the modern world where the Internet contains such a vast amount of information we can find that we really have a world at our fingertips. We owe it to ourselves, our teammates and our opponents to educate ourselves about our sport. Safety is more than just a helmet or a shin guard, it's often a mindset. This can be a difficult question to answer, and unfortunately there seems no "right" answer to it. As is often the case in life, things must be taken on a case-by-case basis and examined by itself to truly determine the correct course of action. Safety should, in most cases, be an integral part of sports. Without a certain element of safety a sport will lose its greatest enthusiasts and could hurt many younger participants who may not yet have developed the level of fitness or technique required to perform safely. However, due to reasons listed earlier, many current athletes frown heavily upon having new safety measures enforced upon them against their will. Does Anyone Else Think The Football Pads Are Overexcessive? "The other day I got layed to hell out and it didn't even hurt." The best adoptions of safer gear or practices come straight from the athletes themselves and not an outside interference. Face shields on hockey masks, for example, started being adopted by many players without the need for an interfering force to mandate the addition. The face shield was an easy addition to the helmet that provided little hindrance to players, but provided a lot of extra protection for eyes and nose. It "just made sense" to a lot of players, and has been widely adopted. While not all players choose to employ this simple device, I suspect far fewer would have been as supportive if the movement had been made by the league against the players' choice. In ways like this, interference can be a bad thing, as most people naturally resist mandated change. But external interference can be a true asset to a sport's safety. Take again for example the movement in Major League Baseball to require the use of helmets by its players. The move was highly in the best interest of the players and of leagues that followed the same regulations as MLB. Without the interference, it is unlikely that global adoption of the practice would be in effect even yet, as there will always be those who ignore or resist "common sense" safety. I definitely feel as though this "interference" was a genuinely positive one, and I'm sure many would agree. With this all in mind, I must say that I support interference to increase the safety of sports. Left alone, change would be slow and probably never complete. Even the best of safety improvements may go unadopted if it were not required, which is unfortunate and should be avoided. I feel that as long as the source of interference and regulation understands the obstacles to adopting new measures then they should generally only produce "interferences" that are a positive influence to the sport. I can think of no frivolous regulations that govern safety that do not have a significant reason behind them. And just like most laws we follow as citizens, it's important to realize that even if we disagree with a regulation, it's often in the best interest of ourselves and our peers as athletes. In efforts to avoid controversy, the smart thing to do would be to diplomatically avoid this question. This world is full of amazingly daring "sports" that thrive on the existence of substantial risk. It actually seems that nowadays you can simply put the word "eXtreme" in front of any dangerous activity and probably find a group of people that do it for sport. Supercross motor riding, free solo rock climbing (no ropes ...), BASE jumping, Royal Shrovetide Football, free diving, speed skiing, cheese rolling and cheerleading, among many others, all present great chance of injury and in some cases death. To choose a sport as the "most dangerous" would take a much more narrow scope than to pick from all sports. X-Games. Why Are They Considered As Extreme Sports? "Wtf is so extreme about skateboarding or motocross or doin tricks with bikes?" More than half a million bicyclists visit the emergency room each year with injuries (ref). As long as people are always willing to take things to the next level and try something more risky just because they love the rush, I believe there will be no "most dangerous" sport. That being said, nearly any sport would benefit from following the above guidelines for increasing safety in sports. There is no reason why most any sport cannot be enjoyed fully while still maximizing safety if common sense is followed and safety is made a priority. Remember, an injured athlete is an unhappy athlete. Live life and love sport, just do it safely.